Put your right foot forward, put your left foot out, do the bunny hop…hop, hop, hop! Oh yes, Easter is here! This is my favorite holiday to tablescape. 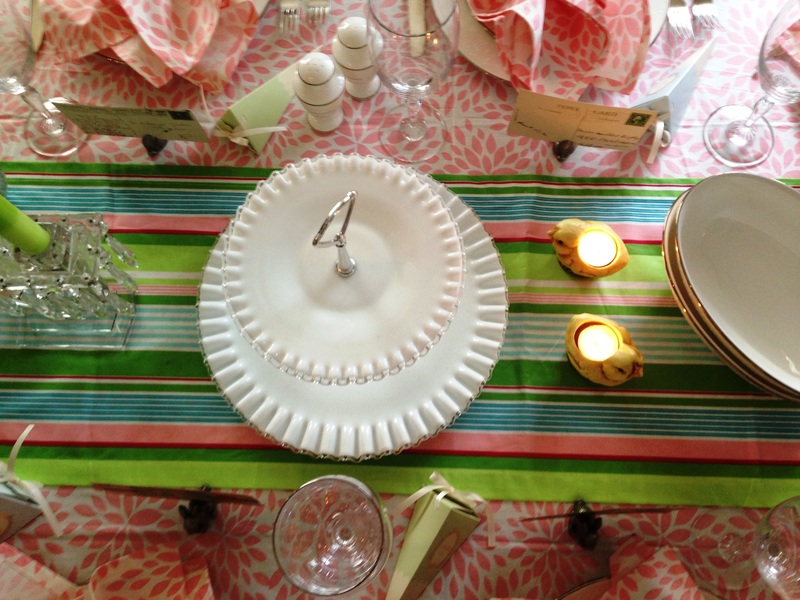 I started with some of my favorite pastel patterns from Hen House Linens, ‘bold striped grass’ for the table runner and ‘dahlia blush pink’ for the tablecloth and dinner napkins. For the centerpiece, I chose a Fenton Spanish Lace milk glass vase filled with hydrangeas flanked by crystal candlesticks from Home Sweet Home in Chatham, NJ and coordinating pink and green tapers from The Dept gift shop in Morristown, NJ. 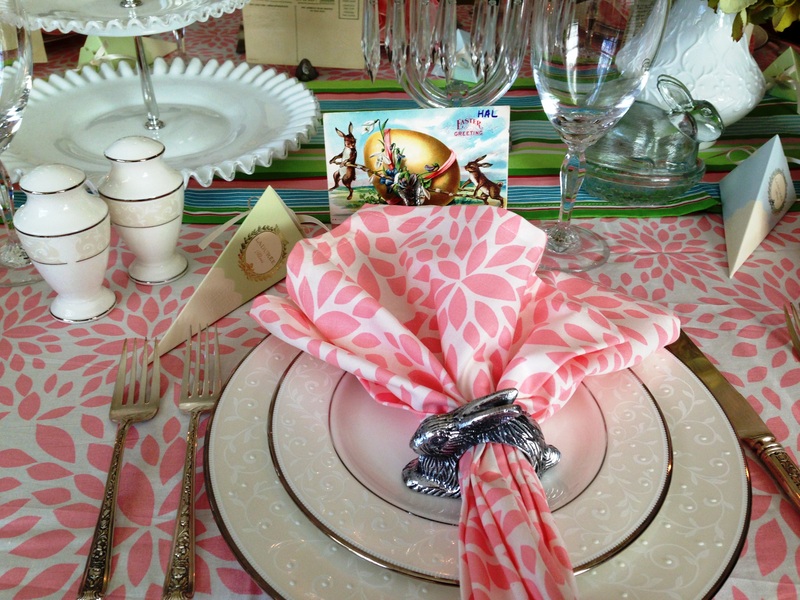 The pewter bunny napkin rings are from Williams-Sonoma. The favors are candied almonds from Laduree Paris. The place setting is my wedding china, Lenox Opal Innocence. The silver is Wallace Windsor Rose (1942) which belonged to my husband’s grandmother. The two tier dessert tray is Fenton silver crest and the little glass bunny butter dish is from Country Antiques in Pluckemin, NJ. For the placecards, I used antique Easter postcards from Summit Antique Center, Summit, NJ. 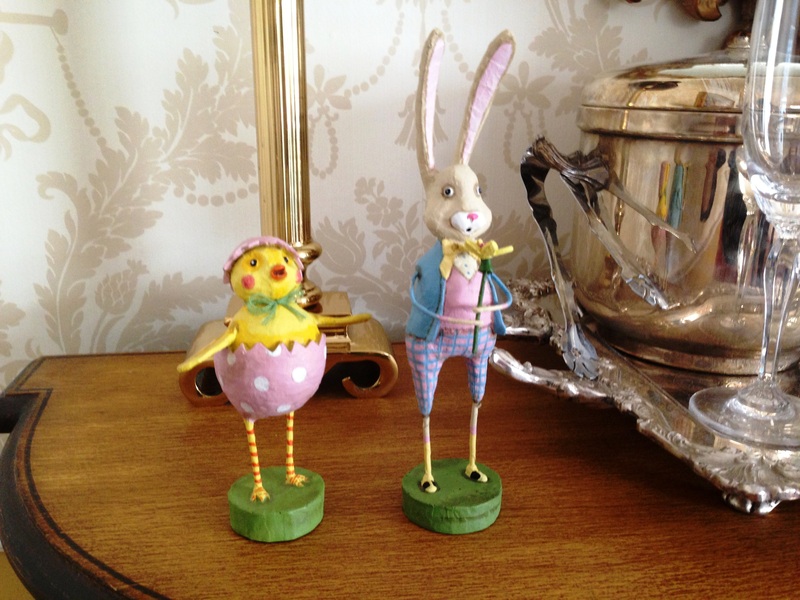 Gotta love these Easter collectible accents by Lori Mitchell which I found at Lord Ivy gift shop in Summit, NJ. Table is all ready for entertaining! 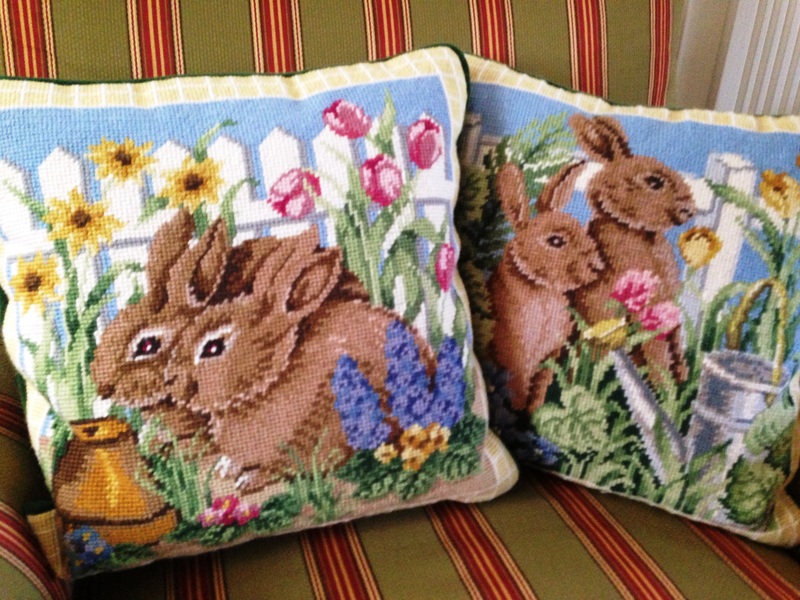 I found these adorable needpoint pillows at Home Sweet Home in Chatham, NJ because one just cannot have enough bunnies!! 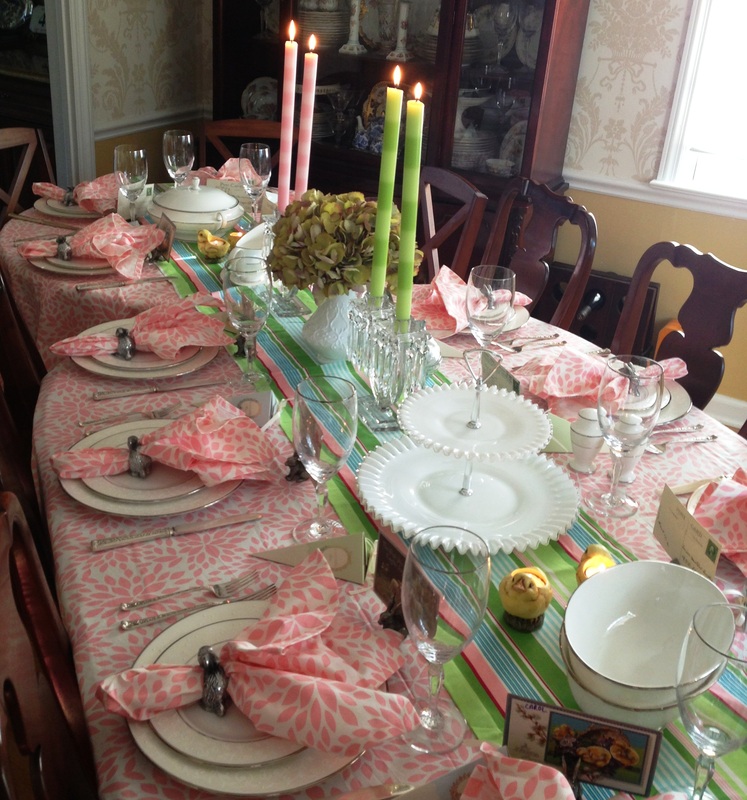 I love, LOVE, L O V E your Easter tablescape, dear friend!!! Elegance and whimsy beautifully combined!!! Your china has me swooning!!! Such a beautiful table! Love the pink and green combo. Too many pretties to choose a favorite. Visting from BNOP, thank you for sharing. Ooh I love that tablecloth and the napkins! Such a nice punch of color. 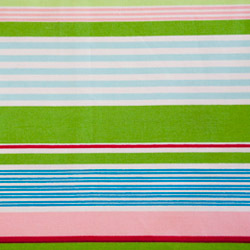 The striped table runner looks great and all your accents too. What a great table to sit down to- love the china! Happy Easter! Oh! 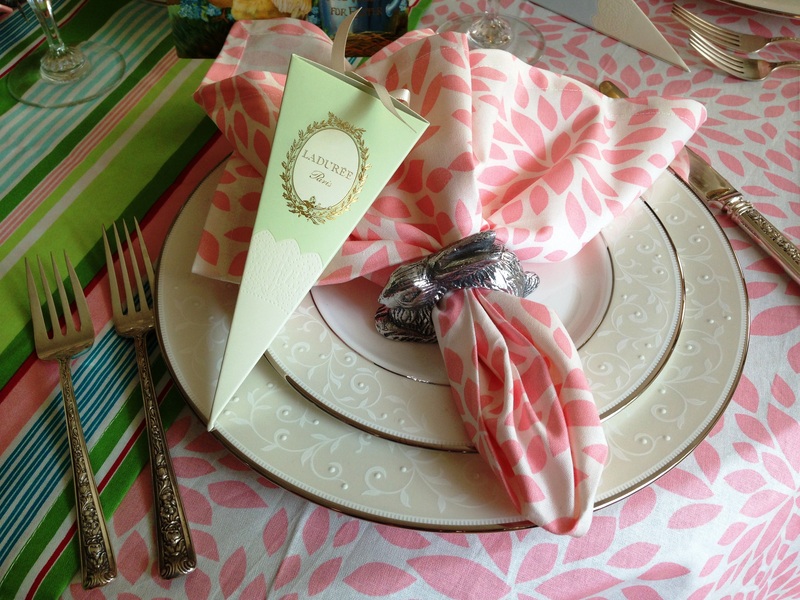 Your linens are so pretty and those bunny napkin rings are adorable. I love your choice of china and silver. Hope you have a wonderful Easter! 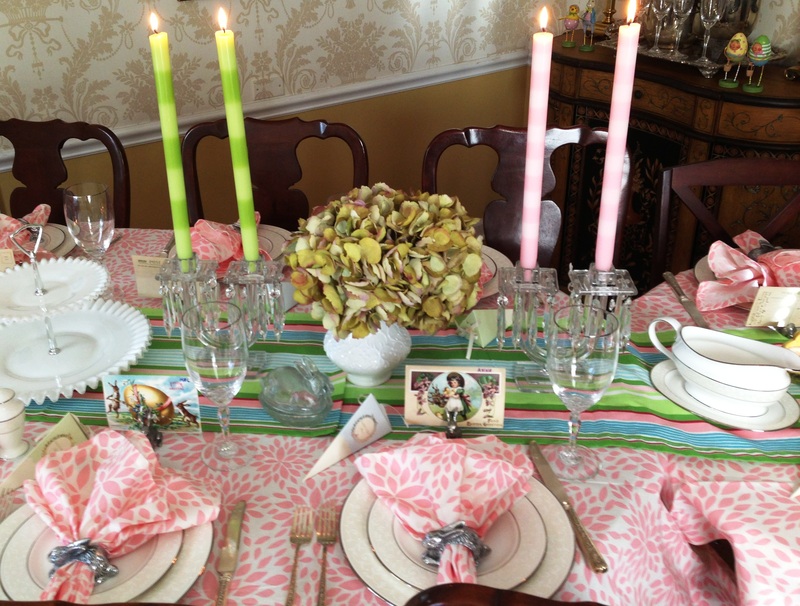 With your happy pastels, the table looks just right for Easter. What fun it is to pick up something here and there and have it all come together. 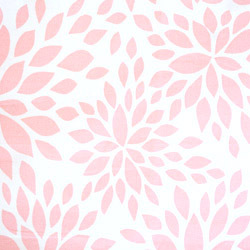 I’m in love with your tablecloth and napkins!! 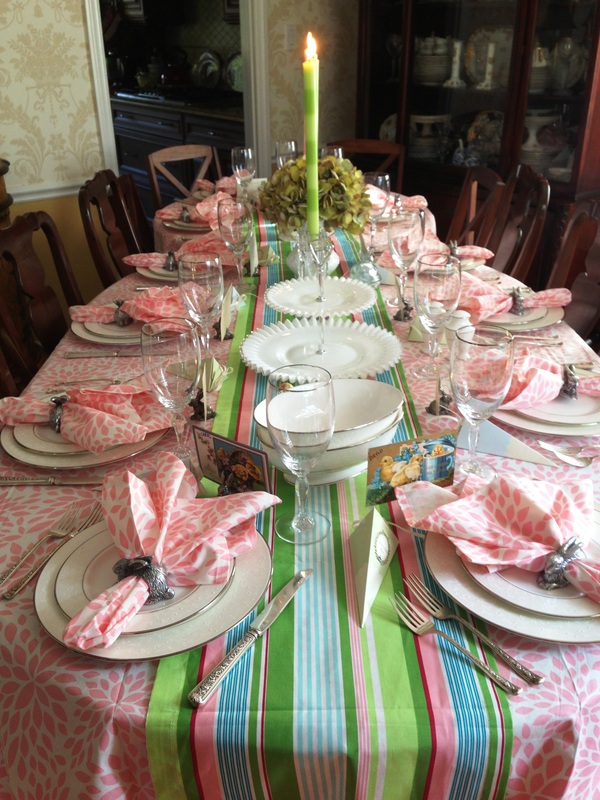 You have a beautiful Easter table, I hope you enjoy your celebration!